"Let’s walk! We’ll get there faster on foot!" A cackle erupted from the wrinkled face of a woman peering down at us through thick glasses. Manuel and I nodded in agreement and exchanged bemused glances as the sharp-tongued Jamaican grandmother ambled off to join the crowds clustered around the information desk. We were sprawled out on an empty patch of carpet at a departure gate at Heathrow Airport, the very gate that was supposed to have been the embarkation point for Air Jamaica Flight JM002, 19 hours earlier. Around us families had staked out little patches of floor for themselves, napping, snacking and stopping airline employees to harass them for updates. Children careened around this human obstacle course, diving under chairs and tumbling into strangers’ laps. Young Jamaican women in tight skirts and impossibly high heels (how do you survive a long flight in those?) strutted up and down the rows of people, deliberately catching the eye of every man under 80, while plump grandmothers clucked and shook their heads disapprovingly. This was human theater at its finest, the spectacle suspending itself at periodic intervals so that the tinny voice of the departure gate agent could be heard expressing regret at the latest extension to the flight delay. From the looks of it, we weren’t going anywhere soon, but at least we weren’t starved for entertainment. We had arrived at Heathrow the previous afternoon in plenty of time to make our connection to Montego Bay. A one-hour flight from Edinburgh and the ten hour flight to Jamaica had been supposed to deposit us at our destination by early evening. We would have a driver meetings us there to take us down to the South coast, where hopefully a shower, a late dinner and a relaxing night in a room directly on the beach were waiting. But on our arrival at Heathrow we had been informed that due to mechanical faults, one of the two Air Jamaica planes used to fly to London was out of service, and our flight had been postponed until the next morning. We were handed a hotel voucher, free dinner and breakfast slips for the hotel restaurant, and the news that we would be picked up at 6am sharp for a 7am departure. We were dismayed, but not crushed – by our calculations we would be arriving early the next afternoon and still have the better part of a Caribbean day to soothe our delay-frazzled nerves. I just hoped our driver would stick around. After dumping our bags at the airport hotel, we assessed the situation. We were in London for a night, we weren’t paying for it, and there were dozens of restaurants a short tube ride away that I was dying to try. "We’re not going to eat dinner in the hotel, are we?" Manuel asked, eyeing the vouchers warily. I laughed and shook my head. "Okay, but do you have any specific place in mind?" Surprised by my own decisiveness, I replied: "Moro". Moro is a restaurant I knew mainly from its two cookbooks. Unlike many restaurant books I own which are geared more for the coffee table than the kitchen, both Moro cookbooks appear in my (albeit imagined) dinner plans often not only because they offer interpretations of the cuisines I love best – Spanish, North African and Middle Eastern – but also because the dishes they contain are simultaneously imaginative and unpretentious. I’m embarrassed to admit that I’ve managed only one recipe from the books (though I’ve admired others‘ efforts) but I knew that this was food I had to try at the source if ever given the chance. Still, I was well aware of the risk involved – I’ve learned to be wary of celebrity restaurants as fame has been known to dilute the very characteristics that made the restaurant great (not to mention inflate the prices), so it was with some trepidation that I called and wrangled us a table for that night. As it turned out, my fears were completely ungrounded: the meal we had there qualified as one of the best I have ever eaten (not to mention offering astonishingly good value for money). The restaurant itself was warm and intimate but also relaxed enough to instantly dispel our concerns that we were a little underdressed (long-haul flight attire proving to not exactly translate into the best option for elegant dining). But most importantly, the food was exquisite. From my sauteed calves liver with cumin sauce, crispy lavash shards and cold yogurt to Manuel’s meltingly tender pork belly with tangy green mojo verde, to the waitress-recommended Malaga raisin and sherry ice cream that had these self-confessed raisin-phobes fighting to lick the bowl, everything was a perfectly executed harmony of texture, temperature and flavor. There was also delicious fresh sheep’s milk ricotta with baby fava beans and anchovies, wood-grilled Moroccan chicken with pine nuts, braised zucchini and caramelized-onion pilaf, and a silky and sour pistachio-yogurt-pomegranate cake. And there was bread, rough-hewn chunks of it, without a doubt among the finest specimens I have ever encountered: dense, brown, chewy, slightly sour and kissed with a breath of smoke from their wood-fired oven, it was bread that would have brought me to my knees had I been standing. We ate three baskets of it before our first courses even arrived, soaking it like a sponge in a dish of peppery Spanish olive oil. By the time we left, we were so full and happy that all we could murmur on our ride back to the hotel was how happy we were to trade a night in Jamaica for this. At 7am the next morning, however, when no plane was at the gate, our optimism was starting to fade. And five hours later, it had all but disappeared. First there was the very late arrival of the inbound aircraft (a charter plane flown in from Atlanta on short notice), and then there was the problem of catering – I’m not sure what exactly the problem was, but it took several hours to resolve. We were hungry, tired and restless; we finished our light airport reading and had moved onto the heavy in-flight stuff. 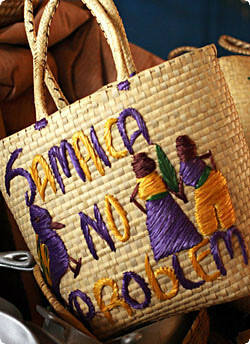 But much to our own surprise, we found we just couldn’t get too despondent – we were, after all, surrounded by Jamaicans. Laughing and joking and facing this inconvenience with indefatigable optimism, they seduced us into sharing their simple outlook: if you can’t change things, why get upset? And somehow we found ourselves not minding quite so much, even when our plane took off 23 hours later than originally scheduled, or even when they deposited us in Kingston instead of Montego Bay, or even when they made us all wait another five hours for the twenty-minute flight across the island. But when we finally stumbled out into the humid night air at Montego Bay’s Sangster International Airport, I can’t tell you how happy I was to see a hand-lettered sign bearing my name. It was our Tourist Board-appointed driver, a smiling and gracious young man who introduced himself as Everton, packed us safely into his air-conditioned van, and whisked us away for the final leg of our journey. the better part of two days. Despite the fact that he had been dutifully waiting for us all that time, however, he wouldn’t let me even begin to apologize. Instead he shrugged, flashed us a wide smile and said, "Hey, no problem. I knew you would get here eventually." It was a good omen – after all, the last thing we needed was more problems. O-kaerinasai! (welcome back!) sounds like the startings of a great adventure! can’t wait to hear more about it! I have come to appreciate the traveling snafus that inevitably show up on vacation. Sometimes they don’t translate well when told in a story, but you managed to incorporate the grace underlining the initial regret.The Red Stripe and the beach lounger are wonderful fodder for my imagination this afternoon. Welcome back!Can´t wait to read more …..
great post…I see you adapted to the Jamacian way of life quite quickly! I’m also adding Moro to my restaurant list! Where do I begin? !I can’t believe the ordeal you endured just to get to Jamaica. But I must say you deserve full credit for dealing with it so positively.I have been a fan of the Moro cookbooks for the longest time, although I don’t own them. But your description of your meal may mean that I’ll have to add just a bit more to the load already threatening The Overburdened Bookshelf.I can’t wait to read about the rest of your trip! Jamaica, yeah, yeah, we’re all jealous. But Moro, my dear? Oy vey, you have me crying in my soup over your good fortune. I hope the rest of the trip goes (more) smoothly! Have fun. I’m looking forward to reading about all your adventures. Sounds like your trip has been eventful to say the least. I am new to your blog and really enjoying reading it. Made your pesto the other day- yum! I am planning a trip to Europe next year- Moro is now well and truely on my list of restaurants to visit after your rave review. Hope the rest of your trip goes well after the rocky start. Can’t wait to read the rest of your story! !Welcome back! 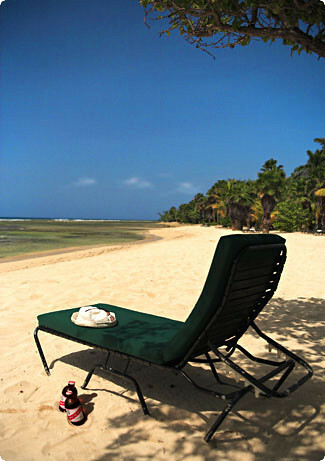 Sorry to hear about the Heathrow delay – but sounds you had a fab holiday once you got to Jamaica. Looking forward to reading the stories and recipes – and drooling at the pictures taken by you and your hubby..